Congratulations! On behalf of the International Academy of Digital Arts & Sciences, it is my pleasure to inform you that Cosmos Laundromat has been selected as a Nominee for The 20th Annual Webby Awards in the Online Video – General Film: Animation category. This is an unparalleled honor. As a Nominee, your work has been selected as one of the five best in the world in its category, and is competing for the Internet’s two most coveted awards: The Webby and The Webby People’s Voice Award. Congratulations – this is an outstanding accomplishment for you and your team! Check the nominees and don’t forget to vote for us! 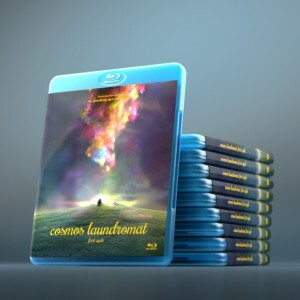 Come on people, Cosmos Laundromat is actually second (25%) behind The Sea Is Blue, let’s give Blender some visibility and vote for it!!! Thank god, an update. Congratulations and voted, by the way. I can’t wait for the next part. Voted! Bleder makes the revolution!